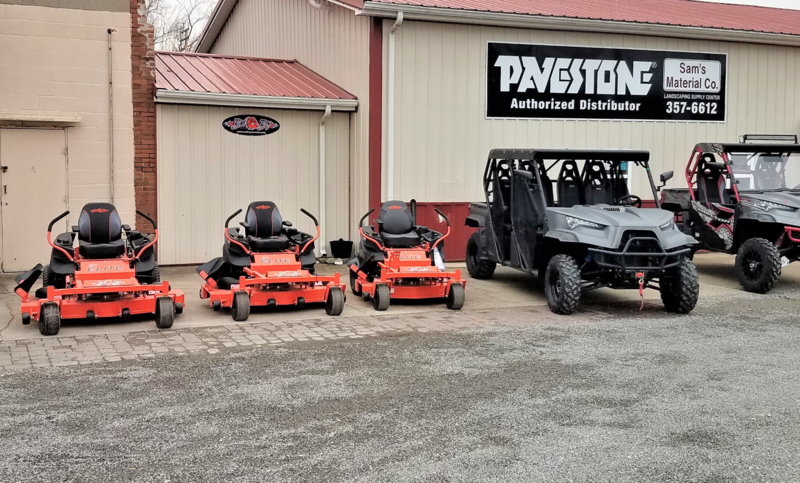 Sam's Material and More, Inc. serves Southern Illinois with landscaping products and has one of the largest landscaping inventories in Southern Illinois. We are also happy to now be an official dealer for Bad Boy mowers. We believe in providing quality products, good service, at reasonable prices. We will do everything we can to provide our customers with the products they need. If we don't stock the product needed, we will make every effort to find that product for our customer. Our mission is to make your landscaping dream a reality. Your satisfaction is very important to us. Sam's Material and More, Inc. offers material not found at any other retailer in Southern Illinois. We work hard at finding products that make landscaping interesting, fun, and enjoyable. All our landscaping gravel, mulch, and soils are sold in bulk, not bags. Buying and selling in bulk is one way we offer value to our customers. We sell small and large orders. So, bring your pick-up and save. We take pride in our business and the products we provide. Every customer deserves pleasant, informative service every time they visit Sam's Material Co. We work closely with our clients to make sure their landscaping project meets or exceeds their expectations.